On the heels of news regarding an early 2020 tour of Australia comes word that Queen and Adam Lambert will play a newly-announced series of shows in New Zealand ahead of the trek. The three-show New Zealand series will run from February 5 to February 10, 2020 with an all-new stadium concert experience, including their first ever appearances in Wellington and Dunedin, and a return to Auckland. The Rhapsody tour will debut a brand new larger-than-life production following its North American debut this summer. “This is a great opportunity,” says guitarist Brian May. “Our last tour featured our most ambitious production ever and got us our best notices ever. So we decided to rip it apart and get even more ambitious! Watch out, New Zealand!" 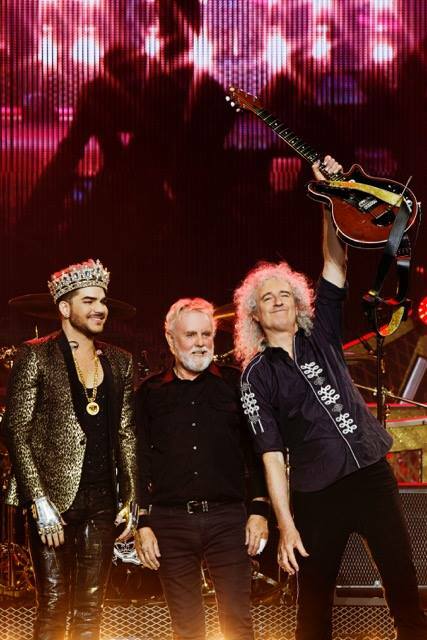 Queen and Adam Lambert Fan Club presales are underway now, with general public tickets going on sale Wednesday, April 17 at 10 am NZST. Directed by Dexter Fletcher, the project – which follows Queen from their formation in 1970 through to their legendary 1985 Live Aid appearance – won four Academy Awards in February, including Best Actor to Rami Malek for his portrayal of Freddie Mercury, and technical production honors in the fields of Sound Editing, Sound Mixing and Film Editing.